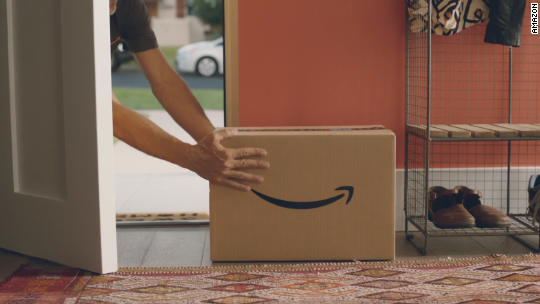 AMAZON LAUNCHES DELIVERIES INSIDE YOUR HOME, Amazon (AMZN, Tech30) thinks so. The company says it has a safe way for you to allow delivery drivers inside your home, even when you’re not there. You order something for delivery and click the “in-home” shipping option. When the delivery driver arrives, Amazon verifies the address and delivery time and allows him or her into your home. You can watch from your phone as the camera records the whole thing. The service isn’t just for deliveries. Amazon says you can also use it to let family and friends into your house when you’re not home. And it will work for certain services like home cleaners, pet sitters and dog walkers. It’s not the first major retailer to experiment with remote delivery access.